When I was 16, my mother told me that life wasn’t fair. Until that point I’d understood the lessons learned growing up poor but, at some point at least, I thought the scales would balance out and occasionally the good things in life would come my way. My mother made it clear that was not to be. Still, I went on to live a good life with ups and downs, joys and sorrows, and though luck always went to someone else, I was okay with that. Words can’t contain the enormity of the hole left behind by a child’s death. As a writer, I’ve spent the days since October 20, 2014 searching for the ones that will comfort me late at night when I lie in bed trying to find sleep instead of heartache. I haven’t found them yet. In my parent’s grief group I hear the stories of other mothers and fathers who, too, struggle to get through each day while mourning the loss of their child. We talk about the boxes of belongings we can’t bear to part with. The items of clothing and jewelry we wear in a vain attempt to keep our dead child close. And then, the ones who have survived this pain the longest tell us it will never go away, but it will change. Some day, they say, the smiles will outnumber the tears. While I wait for that change to come, I remind myself of the 27 years I had with her. Her exuberance for life. Her love of her family. 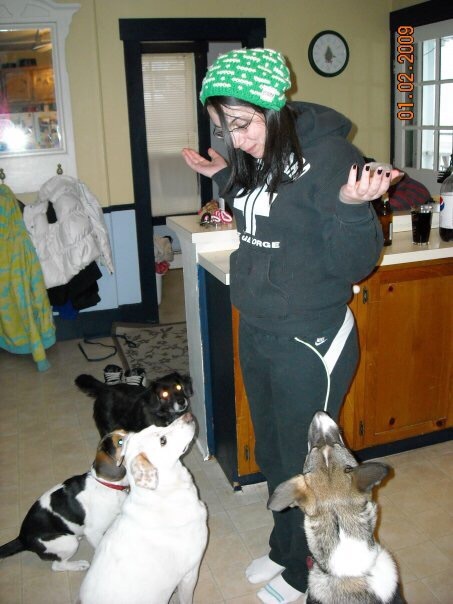 The way she adored her dogs. How her smile brightened a room. How her tears could break your heart. Her persistence. Her love of chocolate and Starbucks and Sonic. Her ability to be both wise and foolish in the same instant. Her transition into a woman who had been disappointed and had her heart broken more than a few times, but kept trying. In my mind, I knew the adult she would turn out to be. I’ll never see that played out. Life is unfair like that. But I also had 27 years to love her and that was worth every bit of pain I’ve suffered since her death. Maybe life isn’t so unfair after all. This entry was posted in healthcare and tagged children, death, mourning.